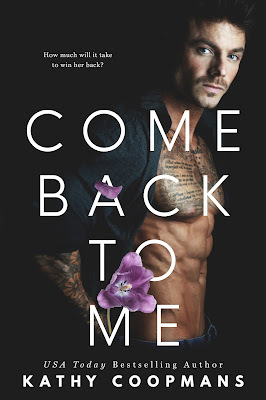 Come Back to Me is my first Kathy Coopmans book. I'm having a tough time putting together the right words in my head to say about it. There was something about this book that rubbed me the wrong way but I can't seem to pinpoint exactly what it was. The book was very well written and that is not an issue in the least. 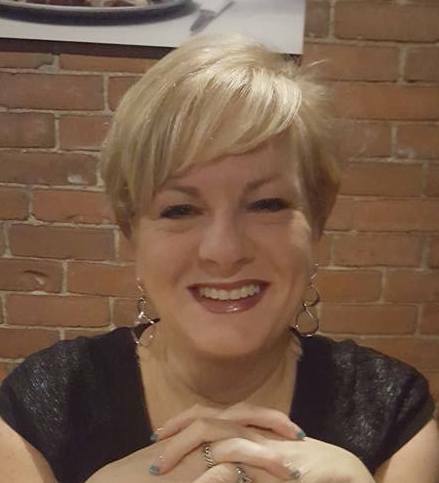 Kathy definitely knows how to string the right words together to get you to feel. I think what may have been tough for me is that entire book was filled with so much grief and I realize that for this story, that is the point. Adriana had guilt and grief pouring off her constantly and maybe for me it was just really hard to read. "Don't we all search for that perfect reason for everything?" I know that the subject matter is not light, easy reading. It was really super angsty. I know that Adriana is described as strong and I'm sure that most people in the real world having the losses she has had would probably crumble under the weight of it. She was certainly dedicated to the people she loved...wholeheartedly and complete...and maybe that's why those rose colored glasses of hers never really came off....except at the end. This is when both Blake and Adriana finally redeemed themselves in my eyes. There is definitely plenty of steam pouring off the pages. I look forward to reading more of Kathy Coopmans' books.